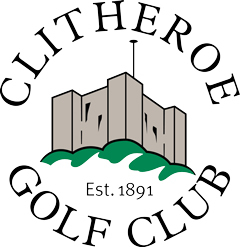 Both one and two seater buggies are allowed to be used at Clitheroe Golf Club. Members who own their own buggy must provide the Club with a certificate of third party liability insurance before using their buggy for the first time and annually thereafter. They must also sign a ‘Buggy Usage Agreement’. All buggies purchased must be approved by the Club before being used. All golfers intending to use a buggy on the course, including members who own a buggy, must register in the Professional’s shop before commencing play. The Professional will advise the user of the current course conditions and the buggy route to be used on that day and give him the appropriate information sheet. All visiting golfers with their own buggies must provide the club with a certificate of third party liability insurance when registering in the Professional’s shop. All buggy users must sign a ‘Buggy Usage Agreement’. For safety reasons the Professionals’ shop will log on the names of all users of a buggy in the on-line booking system. This will be either by allocating the appropriate payment or by selecting ’use of own buggy’ (no charge). The Head Greenkeeper and General Manager will have absolute authority to restrict or prohibit the use of buggies and it is the responsibility of the buggy user to check the sign by the first tee and ensure that he uses the correct route. If the weather and ground conditions are of no concern, the green buggy route will be used. If the weather and ground conditions are not good enough to allow the use of the green buggy route then the Head Greenkeeper will undertake a risk assessment to decide whether the amber buggy route should be used or, if conditions render part or all of the course unsafe for the use of buggies, further restrictions will be introduced. The Head Greenkeeper will, as soon as possible, ensure that the correct signage is displayed by the first tee and advise the Professional and the office of the result of his risk assessment. Any buggy driver who does not report to the Professional’s shop before entering the course or who fails to adhere to the buggy route of the day may be removed from the course and/or prohibited from using a buggy in the future. The club will not provide any storage facilities for buggies. All buggies left on the Club’s premises are at the owner’s risk.